This expansive forest in Denbighshire has miles of walking and cycling trails to try. It covers 100km2 and is located at the southern end of Hiraethog Moor, near Ruthin. There's miles of peaceful woodland trails, heather moorland, pretty streams, waterfalls and lots of wildlife to see. In particular look out for the red squirrels, crossbill, wild horses and the rare black grouse. This circular walk takes you up to Lord Bagot's monument where there are fine views over the forest and surrounding hills. 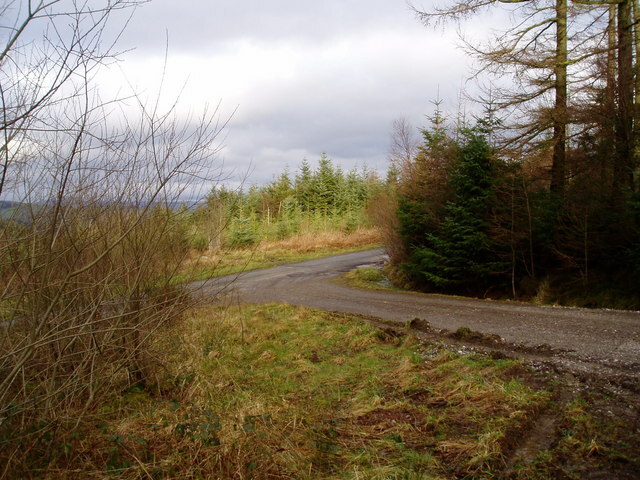 It's located in the eastern end of the forest near to the village of Clocaenog. The walk starts from the Pincyn Llys car park just to the south of the viewpoint. The 19th century monument commemorates the planting of a conifer forest, later cut down during the First World War to provide wooden props for the trenches and coal mines. It's a great viewpoint with fine views over the the Vale of Clwyd. After passing the monument head south west to Cefn Du to turn it into a circular walk. Although this route is designed for walkers there's miles of great trails for mountain bikers too. See the maps below for details. At the eastern end of the forest you can pick up the Brenig Way long distance trail and visit the beautiful Llyn Brenig.